The late former long-serving principal of Wolmer's Boys' School, Eric Coleridge Barnett was remembered as a progressive educator, an exceptional leader and a great father at a thanksgiving service at the UWI Chapel, Mona in St Andrew on Wednesday. 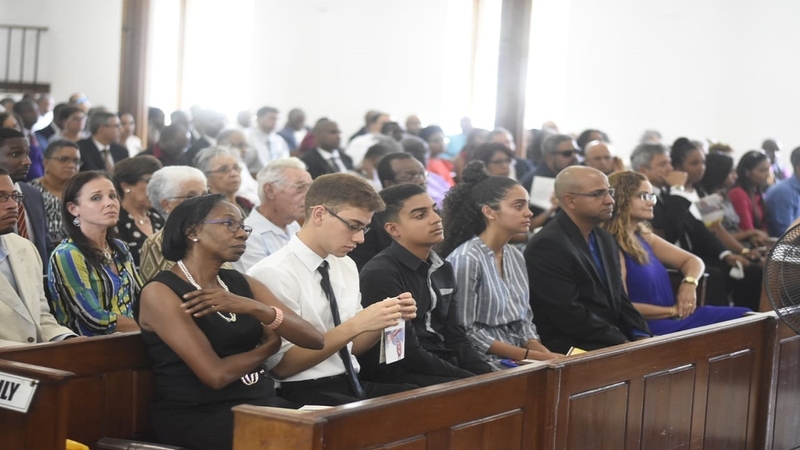 Scores of relatives, friends, former colleagues and students turned out to pay their respects to the late educator who served as principal of his alma mater Wolmer’s for 19 years, from 1979 to 1998, after attending the school as a student in the 1950s. “He was more than a headmaster and administrator. 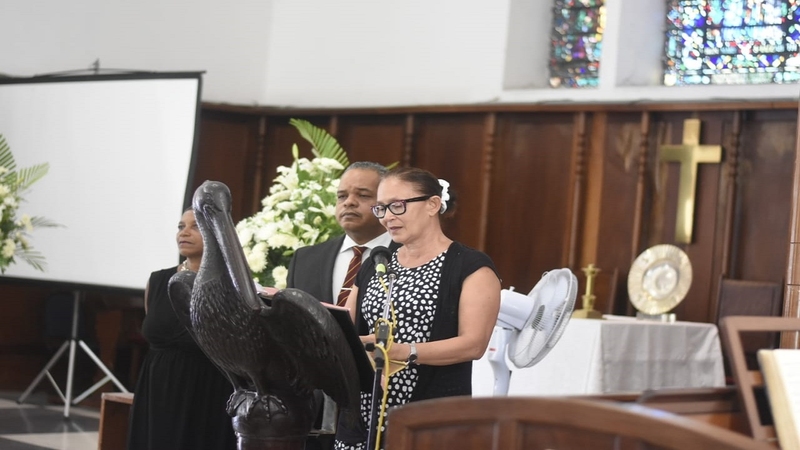 He was the most empathetic, progressive and humane person I have ever worked with - perhaps the best human being I have ever known,” Annette Leyow, vice-principal of Wolmer’s Boys’ School, said in her tribute to Barnett. Prior to joining Wolmer’s as principal, Barnett spent some time teaching in Belize before serving as Head of Social Studies, Dean of Boarding, and Vice Principal at Knox College in Clarendon. David Carty and Dennis Hickey spoke glowingly of his tenures in Belize and at Knox respectively, where he made lasting impacts before returning to lead his alma-mater. 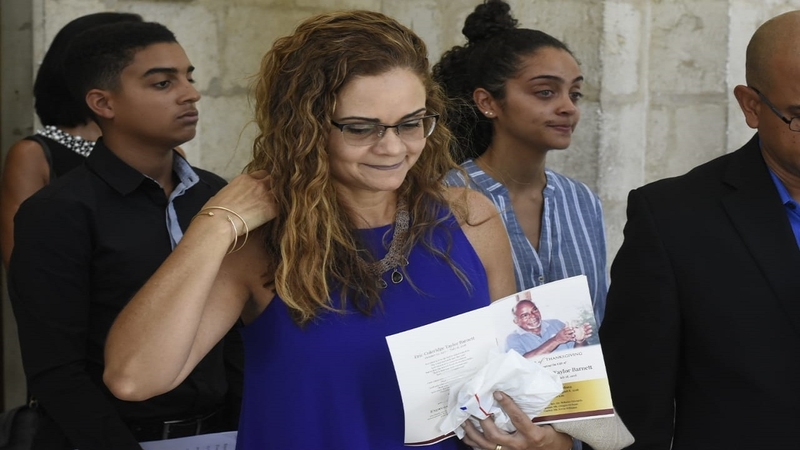 His tenure as principal at Wolmer’s started in 1979 when the school “was reeling from a scandal that tarnished the image” of the institution, according to Leyow. She credited Barnett as being the chief architect behind the school’s turnaround into the leading educational institution it is today. “Over his 19 years, he not only repaired the image but made Wolmer’s Boys’ the most sought after boys school in Jamaica,” Leyow said. She also noted that Barnett was an inclusive leader who made all his subordinates feel welcomed. For example, she said he began every general assembly with “God, our Father”. Former Wolmer’s Boys’ Head Boy, attorney-at-law Pierre Rogers remembered Barnett as “a master builder and shaper of young minds”. Barnett suffered personal tragedy at age 34 when his wife, Catriona, died from cancer leaving him to care for three children. His daughter, Karen Donaldson, said her father was “no ordinary man”. She noted that he was an exceptional dad whose determination allowed him to successfully raise her and her two siblings, Alan and Alison, all on his own. “He taught us just about everything and it has been the greatest honour being his daughter… dad was the true embodiment of our father who mothered us,” Donaldson said. 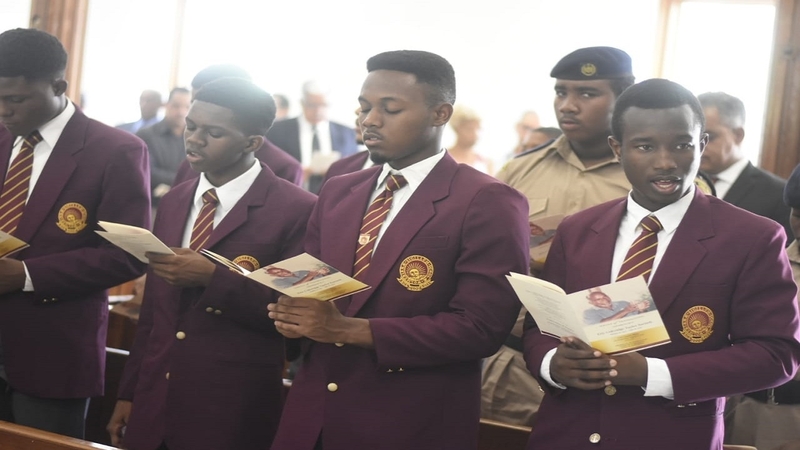 Among the notable Wolmerians at the service were track and field coach Stephen Francis; Lieutenant Commander John McFarlane, former commanding officer of the Coast Guard and the Air Wing; and president of the Wolmer's Old Boys Association and NCB Capital Markets boss, Steven Gooding.